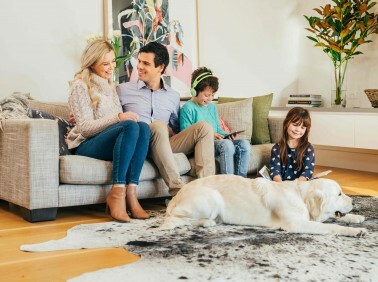 MyHome Ascot Vale West uses an innovative dry-touch carpet and rug cleaning system that ensures your carpets are dry enough to walk on in just one hour. When it comes to proficiency removing carpets of fungi, mould and bacteria, we use solutions infused with Healthguard. One of the reasons why the MyHome dry touch system is so popular is because it has the ability to remove more stains than any other cleaning methods currently available on the market. The creative 6 step process uses solvent-based cleansers that evaporate without a trace after being used. Not only does this cleaning method restore the natural balance, but it also brightens colours and brings back the natural softness to a carpet. After cleaning, you will be left with a light, fresh and pleasant fragrance. So there are no wet carpet smells or chemical odours left behind. Excessive amounts of moisture, harsh chemicals and too much heat are not used to avoid the shrinking of carpets. We also start each MyHome carpet dry touch cleaning service with a thorough vacuuming before we clean. There are many reasons why people choose to carpet their floors in Ascot Vale West. One reason is the warmth and coziness of carpets. Another reason could be due to the different colours, designs and styles as well as the materials. Carpets can help to keep your house warm, so ultimately, it can help you cut down on energy bills. It is also safer for children and pets while playing. Carpets also add to a certain sense of style to your indoor living space. However, you like many others, are probably wondering how to keep your carpets smelling fresh and looking brand new as the day you bought them, right? The simple answer is to hire professional carpet cleaning on a regular basis. While many people make spot cleans from drinks, food, animal or human accidents, they don’t have the carpets professionally cleaned. While spot cleaning your carpets will keep it looking nice and new on the surface, the fact of the matter is that bacteria, fungus and dust mites can really hide inside the fibres of your carpet. Other nasties such as allergens, dry skin, body oils, pet dander, grime and so on can also start breeding in your carpets. By using professional carpet cleaners such as MyHome carpet cleaning Ascot Vale West, your carpets will remain fresh and healthy. This is an excellent way to take care of your investment. In order to save money on replacing your carpets, why not invest in the MyHome evolutionary dry touch cleaning system which lengthens the lifespan of your carpets. This way, your carpets will remain in great condition, smell fresh and more importantly won’t spread disease-causing allergens and bacteria. The best part about this innovative new system is that it doesn’t require soaking your carpets in litres of water and ultimately leaves your rugs fresh, clean and dry in one hour. 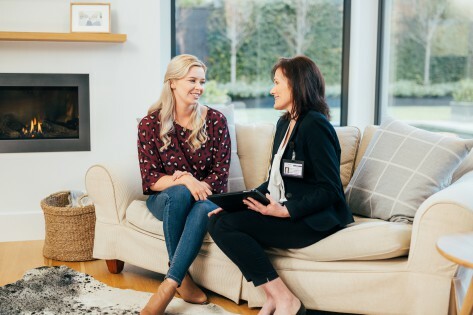 Our faith in our MyHome Ascot Vale West carpet cleaning service is so strong that we will guarantee that if you’re not completely satisfied, we will clean your carpets again free of charge. Keeping your carpets clean may seem like an easy task, however, finding the right carpet cleaning company may not be as easy. MyHome Ascot Vale West does not make use of the hot water extraction method which means there are no wet carpet smells or unhealthy residues left behind. This way damage to your carpet is also prevented.